Tarrant, David (2007) TimeLine Exporter. 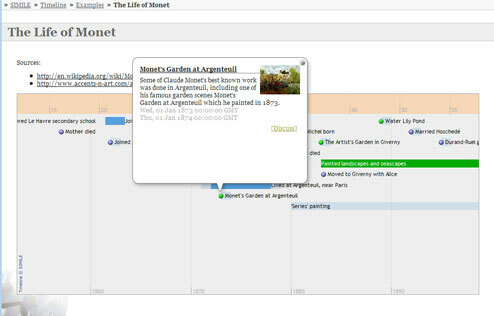 TimeLine Exporter for Eprints3 provides an export plugin which uses MIT's Simile TimeLine API to visualise when items were published. Both files must be installed for the TimeLine Exporter to work. Install both files into the Eprints3 export plugin directory. EPrints is developed within Electronics and Computer Science at the University of Southampton. See here for further information and software credits.